A data entry clerk is skillful and provides services like storage of data, retrieval of data etc based on the requirements of various business houses. 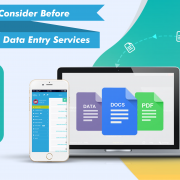 Any modern business house needs the services of a data entry clerk today as the need for compiling and storing important business data is ever increasing by the day. 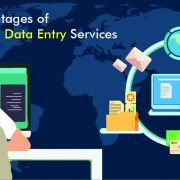 Let’s take a closer look at what exactly an online data entry clerk does to ease the burden of small, medium and large businesses. A good data entry clerk needs to have an in depth knowledge of certain software and be skillful in preparation of spreadsheets, usage of word processors, and any other open or customized data management software. Another desirable quality of a good data entry clerk is to have great communication skills, both oral as well as written. In case a specific client wishes him to use a customized tool for data management, the person should be willing to get trained in a very short time. Excellent skill in typing is a prerequisite of an efficient data entry clerk, and it just won’t do for a person to type with two fingers, constantly looking at the keyboard. A good data entry clerk should be well versed in using either a keypad (laptop) or a keyboard, and needs to have exposure to using other gadgets like scanners that may be used while executing data entry tasks. 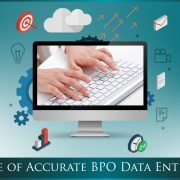 Instead of relying on the accuracy of the data provided, it is the responsibility of the data entry clerk to take pains to verify whether the data provided is accurate or not. Before entering the data in the specified formats, the data entry clerk needs to verify every single bit of information provided. 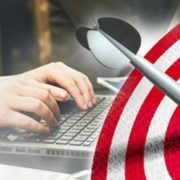 Uploading inaccurate data can lead to serious consequences and may lead to rejections that can affect the very reputation. 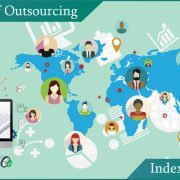 That is one reason why most businesses prefer to outsource such data entry tasks to professional companies like Infognana Solutions who are professionals and experts in the field. A professional company like Infognana Solutions providing the services of a data entry clerk always ensures that changes and corrections are carried out as directed. With several years of experience, Infognana Solutions is able to do this on a proactive basis instead of waiting for the client to come back with requests for corrections or changes. This type of service cannot be expected of an individual working as a data entry clerk due to limited time and resources available at his or her disposal. 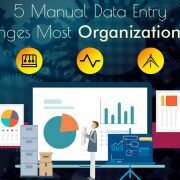 Due to exposure in working with data management teams, a professional data entry clerk will be able to suggest the best methods to adopt for data management. Moreover, a trained clerk is good at retrieving the correct information and data from a mound of data, and presents it in the correct style or format. When sensitive data needs to be processed, it is better to entrust such work to a professional company like Infognana Solutions, which employs a trained and dedicated data entry clerk. The data entry clerk working with such professional companies will stay in communication with managers and ensure that the proper information flow is maintained. Loss or mismanagement of data can also be ruled out in such a professional atmosphere where there are security checks at various levels.